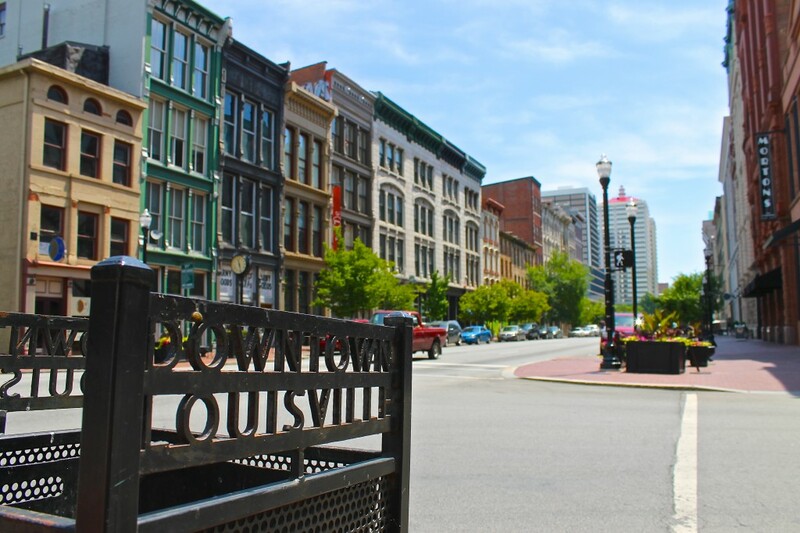 While totally out of the way on our road trip, I included Louisville on the route for two reasons: one, because one of my good friends live there; and two, because it was a place I had considered living when I returned from my long-term travel. Of course, Las Vegas won out, but it was the only other place I wanted to go. Even without seeing it first. 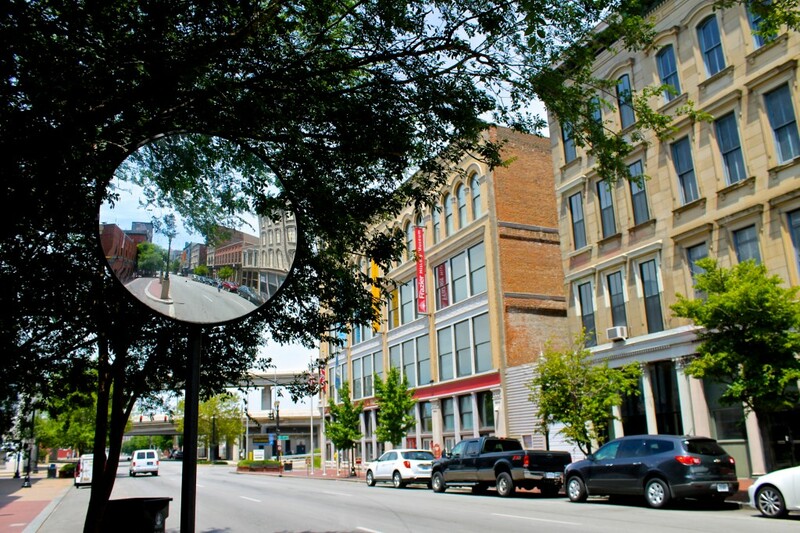 Aside from visiting Churchill Downs, seeing the city through the eyes of a local is something both Erica and I want to do. Thankfully, my friend Karen and her fiancé volunteer to take us on a little exploration of the city. We head to West Main Street to explore the quaint and charming city. 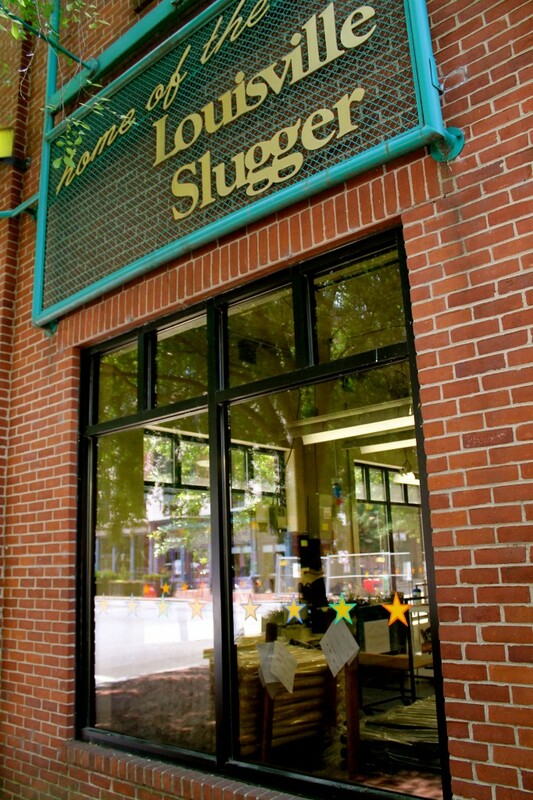 Located on Main Street is the Louisville Slugger Museum. With record attendance two-years in a row, today there is a crowd of people outside. 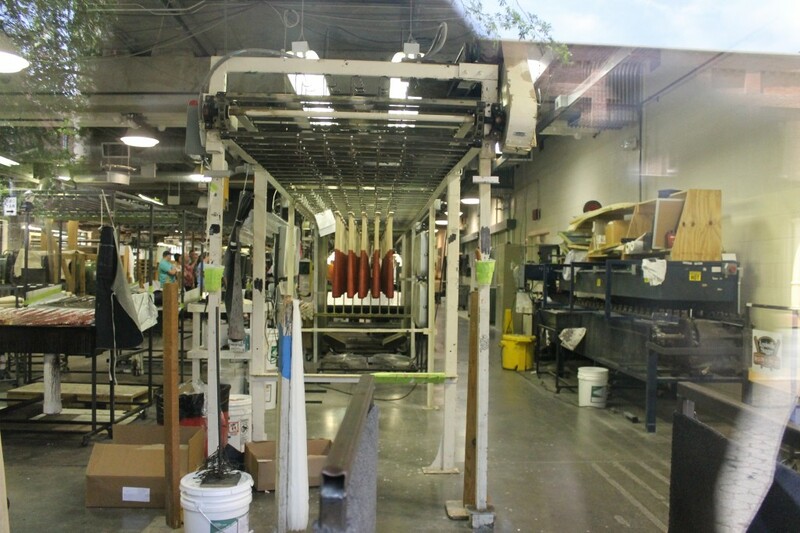 Inside, they will learn about the history of the museum, as well as tour the factory and more. 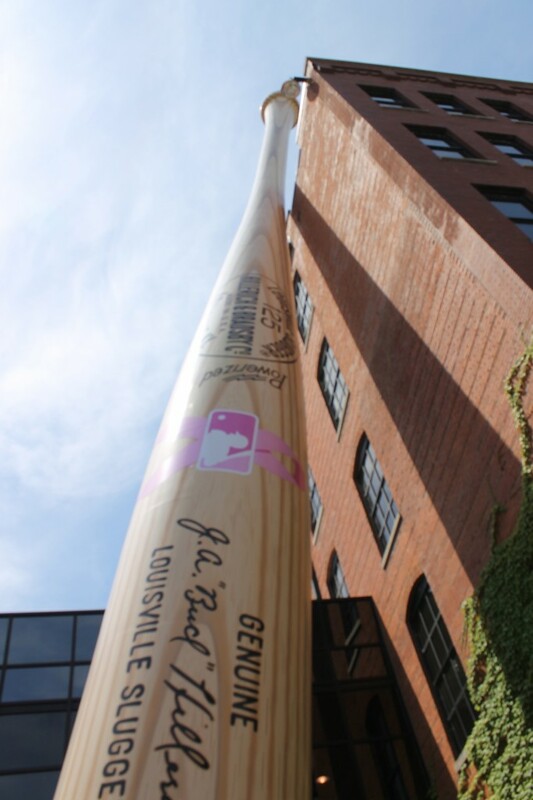 Just outside the museum is the World’s Largest Baseball Bat — a must for photos. And then, there is the quirk. Erected in May 2012 in front of the popular 21 C Museum Hotel, this Statue of David is a replica of the infamous Italian one. Standing at 30-feet tall, the enormous gold figure is not easy to miss. My favorite part of Louisville, though, it what lays outside of the main streets — the homes. Gorgeous, palatial homes dripping in Southern charm can be found here, complete with front porches to take in the summer nights. 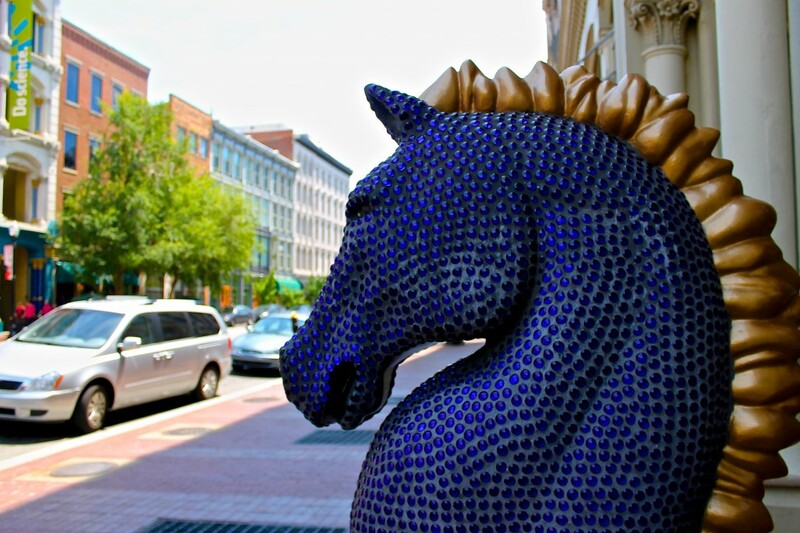 Have you visited Louisville? What were your favorite spots? 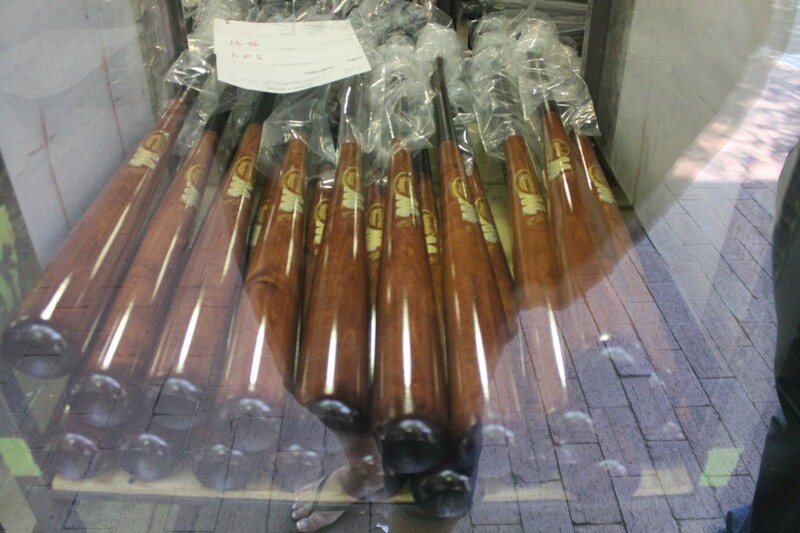 I love Louisville Slugger. 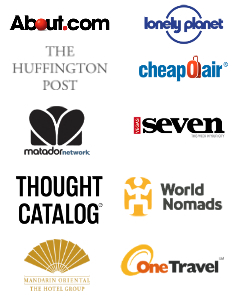 Definitely would be the # stop on this list. The statue of David looks really fake and artificial so not too impressed with it. Would like to see Churchill Downs even though I am not a big fan of horse racing. The statue did look fake, but I loved how random it is! I’m not a big fan of racing either, but it was cool to visit it and see it. I’m impressed. Looks really nice and I love all things sport. When I finally move back to NC will have to check it out. It is a very odd contest!! Definitely check it out! Always wanted to visit Louisville! Have heard from friends that it’s a very fun place to be. I really enjoyed my time there! 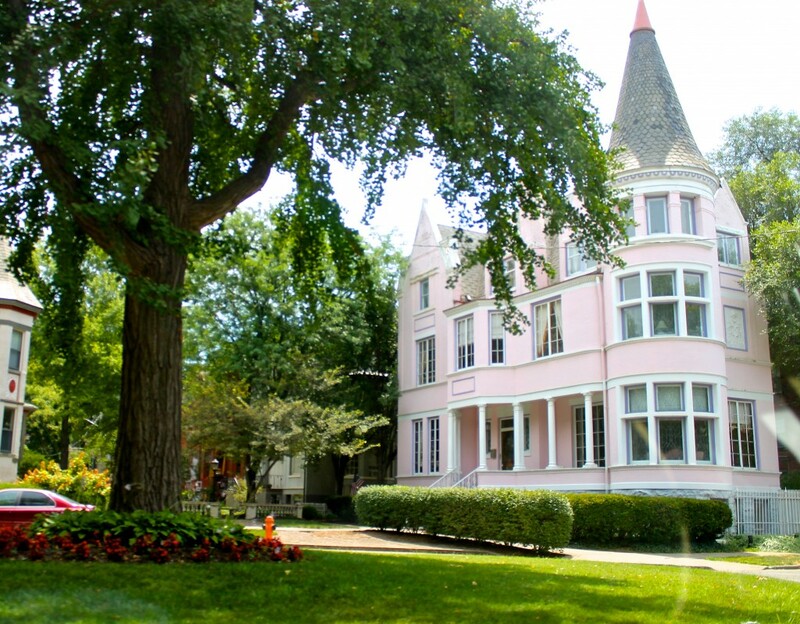 That pink house (more like mansion!) is so cute. I just want to drink pink lemonade on the porch. You and Erica need to stop with these posts already, you’re messing up my plans for the USA hahaha! Well, not messing up, but making it a whole lot more difficult! 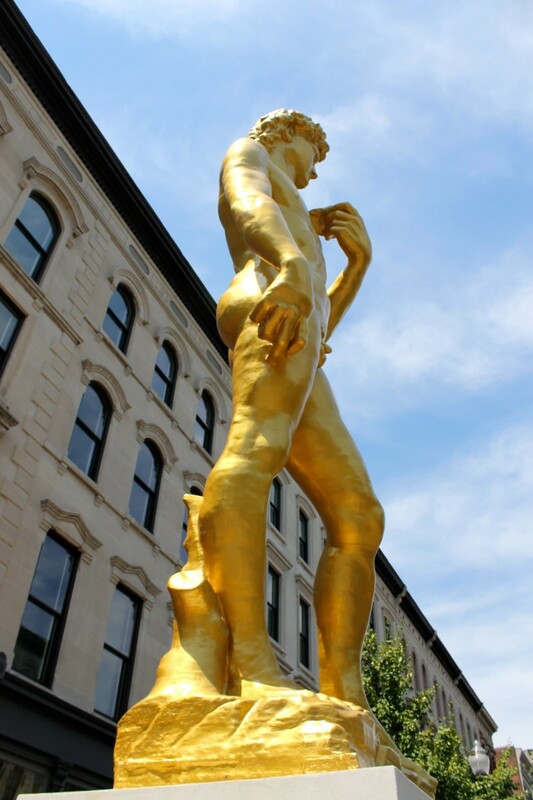 I’d be tempted to go to Louisville if only to take some amusingly smutty photos with the giant gold David, and maybe attempt to get squatter’s rights in the home in your last image.